(Bloomberg Opinion) -- One reason Fox News is so successful, on-air personality Tucker Carlson once surmised, is that “Fox doesn’t hate America.” It’s that kind of provocative verbal torsion that’s so often earned Fox News the disdain of other journalistic outlets, yet has also made the TV network one of the most popular and profitable media businesses around. Now, investors are getting an even closer look at the inner workings of the cable-ratings machine. Last week, the business was spun off from the former 21st Century Fox Inc., which was acquired by Walt Disney Co. It was a two-step deal that gave Disney ownership of Fox’s film and TV-production studios, movie franchises and other entertainment assets. The Murdoch family retained control of what’s now called Fox Corp., a new, smaller entity that mainly comprises Fox News, as well as the FS1 and FS2 national sports networks, some TV stations and the FOX broadcast network, home to shows like “Empire” and some National Football League and Major League Baseball games. The new Fox is valued at $23 billion, most of which hinges on the success of Fox News. 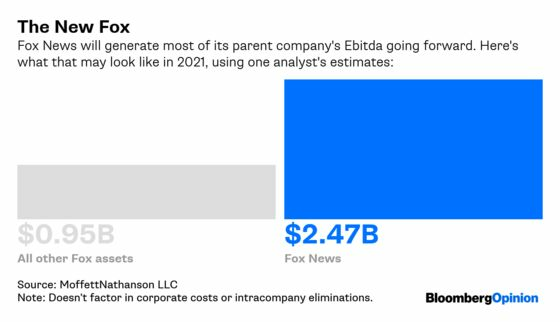 About 90 percent of Fox Corp.’s cable-network Ebitda may come from the Fox News brand, estimates Michael Nathanson, an analyst for MoffettNathanson LLC. And with Fox News Channel’s cash-flow margin of nearly 60 percent in 2018, it has a big lead over Comcast Corp.’s MSNBC and AT&T Inc.’s CNN, according to estimates by Kagan, a unit of S&P Global Market Intelligence. Whatever your political or ethical beliefs, Fox makes for a fascinating business case study. At a time when the media industry’s advertising dollars and cable fees are being pinched by cord-cutting, Fox News has been able to pull one very lucrative lever: stoking outrage among the most loyal viewers of its opinion shows. 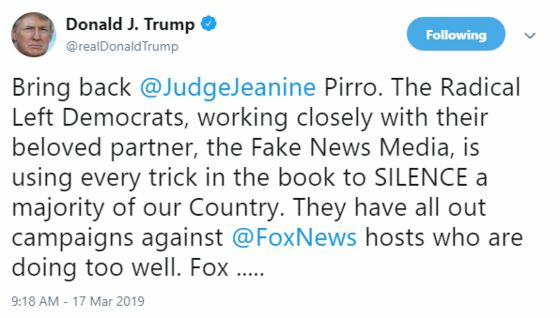 Through a cozy relationship with President Donald Trump — who derides journalists with unfavorable coverage of his administration as “the fake news media” — Fox News has positioned itself as the other in the news world. It also doesn’t have a true competitor in conservative political TV programming. To be sure, just as social media has given a lift to a host of blogs and smaller news destinations, online streaming will lower the barriers to entry in video and change how news is consumed. But as it stands now, Fox News is the sixth-most popular account on Facebook in terms of number of interactions, one step above the “Memes” page, according to CrowdTangle data cited recently by Axios. It’s the only news brand to rank that high. Fox News’s Facebook reach may also speak to the fact that its audience skews older. In the current TV season, which began in October, 54 percent of Fox News Channel’s 2.4 million average prime-time viewers are ages 65 and up, according to Nielsen. 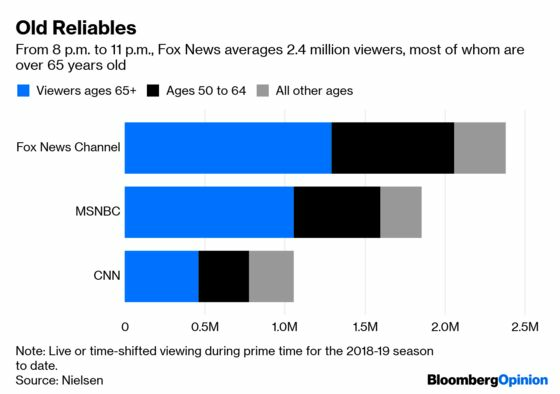 But in other age demographics, the channel’s audience was still larger than that of MSNBC and CNN. It’s notable that at the moment, a higher proportion of analysts are bullish on Fox than on Disney, AT&T or CBS Corp. — even though Disney and AT&T just completed what are considered transformative megadeals, and CBS may be on the verge of a merger with Viacom Inc. 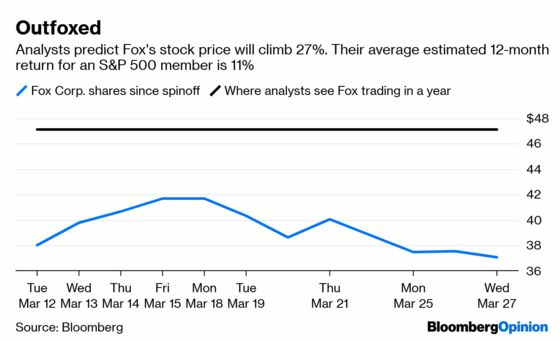 According to analysts’ average target prices, Fox is set to be among the biggest gainers in the S&P 500 index over the next 12 months. It will be interesting to see how the new Fox fills out the schedule for its FOX network, given that it no longer has an in-house TV-production studio. With a bigger focus on sports now, it can be argued that the network should rethink its programming to better target that same largely older, male audience. Of course, a cheap way to fill time is with unscripted content, such as its new reality celebrity singing competition series, “The Masked Singer.” But Lachlan Murdoch — Rupert Murdoch’s son who has taken over as CEO after his brother James decided to leave the family business — seems to be interested in higher-quality scripted shows, Bloomberg News reported. Charlie Collier, the former president of AMC Networks Inc., which developed “The Walking Dead,” “Breaking Bad” and “Mad Men,” was brought in as head of entertainment. As for Fox News, there are questions surrounding the degree to which it will continue to retain its current tone under the younger Murdoch, and how any change might dent its singular appeal. 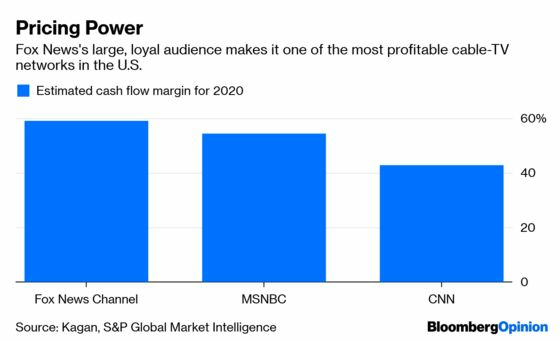 For now, though, the cable channel is more important to the company than ever, and in the worsening political divide, the Murdochs and other shareholders no doubt see dollar signs. Perhaps only in America could investors profit from a business that likely also leaves many of them rolling their eyes or face-palming some days. Guess that’s just one more reason for Fox to feel patriotic. Bloomberg TV competes with Fox Business Network in providing financial news and information.